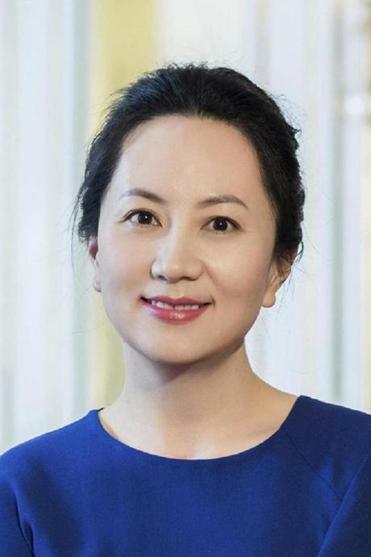 Huawei's chief financial officer Meng Wanzhou is seen in a portrait photo. Huawei’s chief financial officer, Meng Wanzhou, faces possible extradition to the United States, according to Canadian authorities. The Globe and Mail newspaper, citing law enforcement sources, said she is accused of trying to evade U.S. curbs on trade with Iran. The timing is awkward following the announcement of a U.S.-Chinese cease-fire in a tariff war over Beijing’s technology policy. Meng was detained in Vancouver on Saturday, the day Presidents Donald Trump and Xi Jinping met in Argentina and announced their deal. The Chinese government said Meng broke no U.S. or Canadian laws and demanded Canada ‘‘immediately correct the mistake’’ and release her. China’s government said it will promptly carry out a tariff cease-fire and is confident they can reach a trade agreement, suggesting Beijing wants to avoid disruptions due to the arrest of a tech executive. Beijing has asked Washington and Ottawa to ‘‘immediately release the detained person’’ and explain the reason for her arrest, said a foreign ministry spokesman, Geng Shuang. Trump’s tariff hikes this year on Chinese imports stemmed from complaints Beijing steals or pressures foreign companies to hand over technology. But American officials also worry more broadly about Chinese plans for state-led industry development they worry might erode U.S. industrial leadership. ‘‘The incident could turn out to be a breaking point,’’ Zhu said. Last month, New Zealand blocked a mobile phone company from using Huawei equipment, saying it posed a ‘‘significant network security risk.’’ In August, Australia banned the company from working on the country’s fifth-generation network due to security concerns. On Wednesday, British phone carrier BT said it was removing Huawei equipment from the core of its mobile phone networks. It that began in 2016 following BT’s acquisition of mobile provider EE and was in line with network plans in place since 2006. Huawei is still ‘‘an important equipment provider outside the core network, and a valued innovation partner,’’ said a BT statement. Meng was changing flights in Canada when she was detained ‘‘on behalf of the United States of America’’ to face ‘‘unspecified charges’’ in New York, according to a Huawei statement. ‘‘The company has been provided very little information regarding the charges and is not aware of any wrongdoing by Ms. Meng,’’ the statement said. Trump has ‘‘pulled out all the stops’’ to hamper Chinese ambitions to challenge the United States as a technology leader, Lam said. That includes imposing limits on visas for Chinese students to study science and technology. ‘‘If the Chinese need further convincing, this case would show them beyond doubt Trump’s commitment,’’ said Lam. Mulroney said Canada should be prepared for ‘‘sustained fury’’ from the Chinese and said the arrest will be portrayed in China as Canada kowtowing to Trump. He also said the Iran allegations are very damaging to Huawei and China will push back hard. 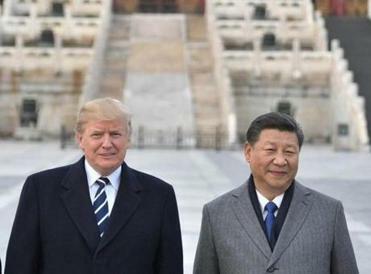 The Chinese will view Meng’s arrest on the same day as Trump’s meeting with the Chinese leader as a planned conspiracy to do damage, said Wenran Jiang, a senior fellow at the Institute of Asian Research at the University of British Columbia. ‘‘She was in transit though Vancouver. That means the intelligence agencies in Canada and the U.S. were tracking her and planning to arrest her for some time,’’ he said. U.S. Sen. Ben Sasse, a Republican member of the Senate Armed Services and Banking committees, said Huawei is an agent of China’s ruling Communist Party and applauded Canada for the arrest. ‘‘Americans are grateful that our Canadian partners have arrested the chief financial officer of a giant Chinese telecom company for breaking U.S. sanctions against Iran,’’ he said.